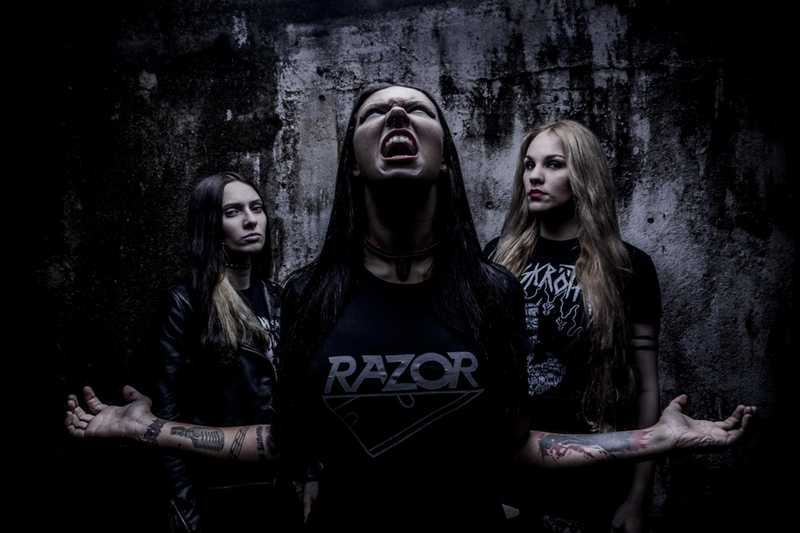 NERVOSA RELEASES NEW LYRIC VIDEO OF NEW SONG "NEVER FORGET, NEVER REPEAT"
NERVOSA has released the first single and lyrical video called "Never Forget, Never Repeat", from their new album "Downfall of Mankind", out June 1st 2018. Fernanda Lira explains the story behind the song: "This song has a little bit of all the elements in the album so it represents it well and also the lyrics are about something worth debating and thinking about, so we think it's a good first single to show fans!" Check out the video HERE, courtesy of Loudwire.